The Arctic is a long way from the United States. San Francisco is a distance from New York City. 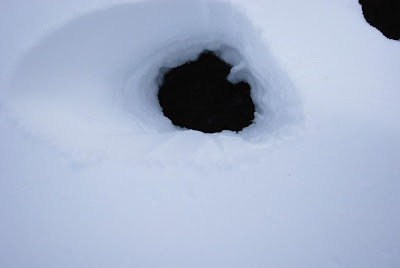 As Adfreeze Project is our first collaboration, we thought it would be sensible to meet up in a cold climate before our Arctic residency and develop a repertoire of work processes to use in Svalbard. 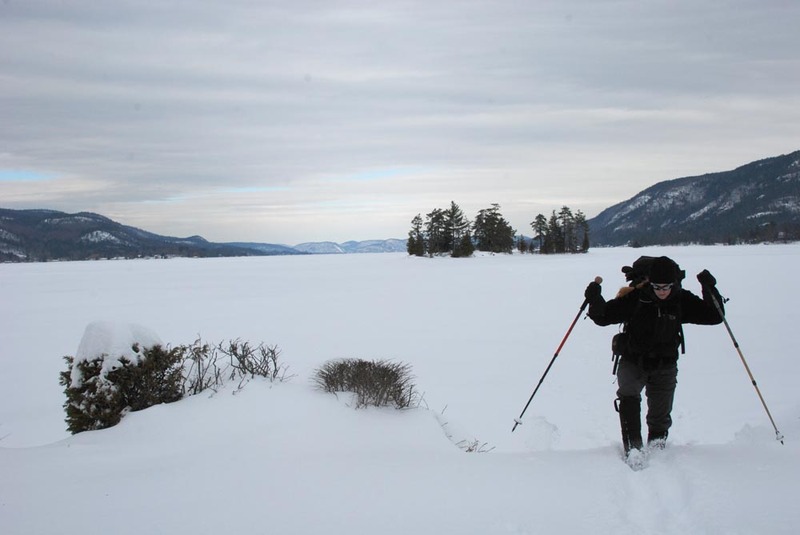 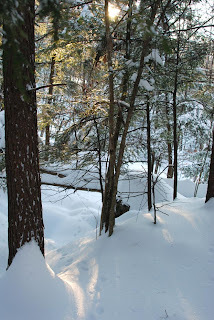 This February we traveled to New York's Adirondack mountains for a pre-Arctic work session. 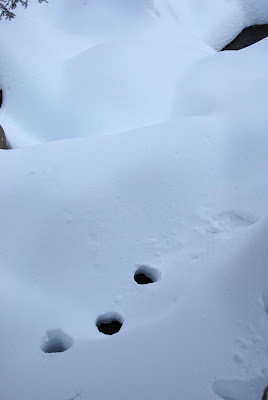 3 holes are dug through the snow, exposing the rushing water and pebble bottom of the waterfall blanketed below. 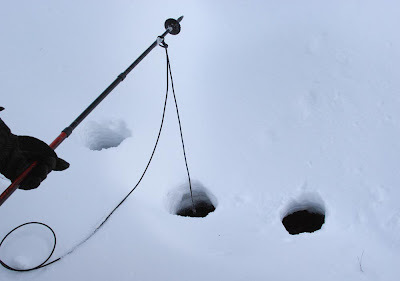 Each hole contains a unique acoustic soundscape. 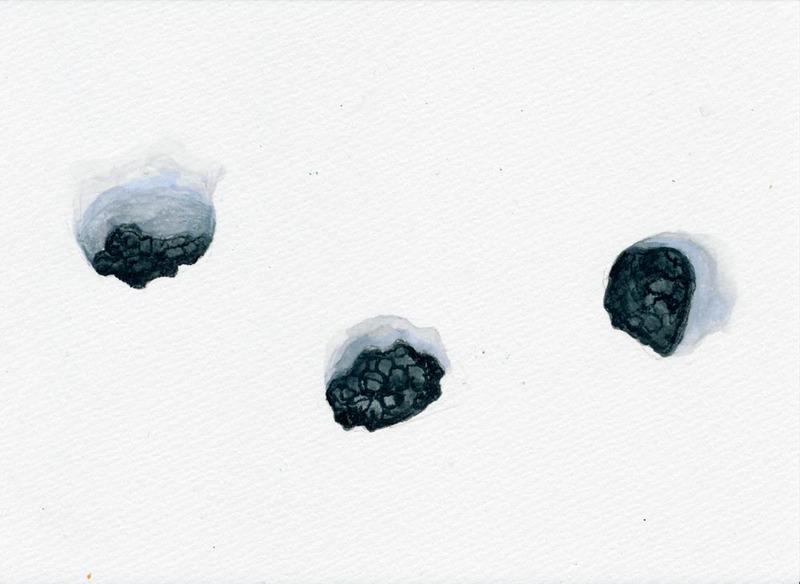 Treelines from oona stern + cheryl leonard on Vimeo. 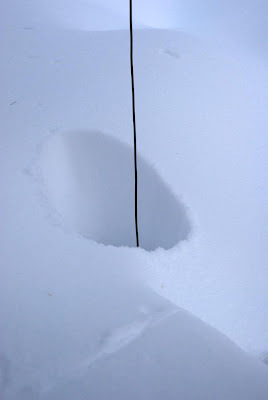 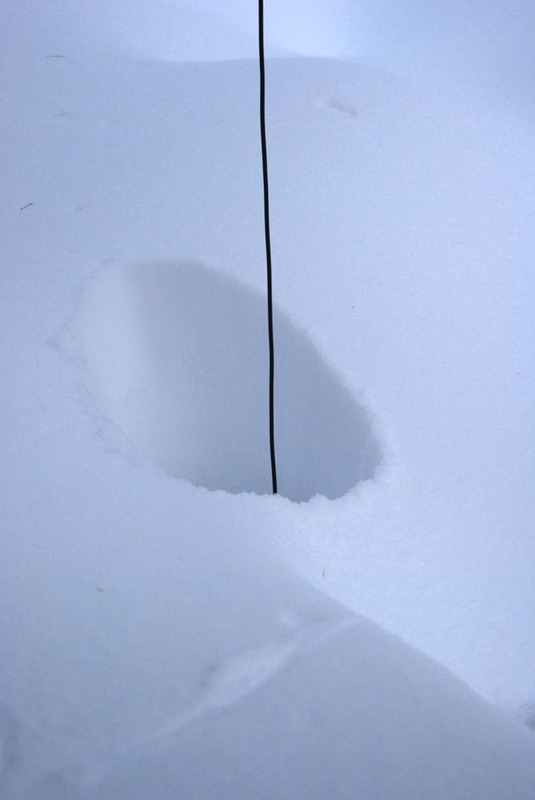 Field recordings of snow-covered stream, American crow, downy woodpecker, drawing lines in snow.